Without perceiving things through the old filter of past conditioning and conceptualization, one can sense the universe is intensely alive. Even so-called inanimate objects - I often pick up little objects and just look at them and sense that they are alive. Physicists actually confirm that what we perceive as dead matter is not dead at all. 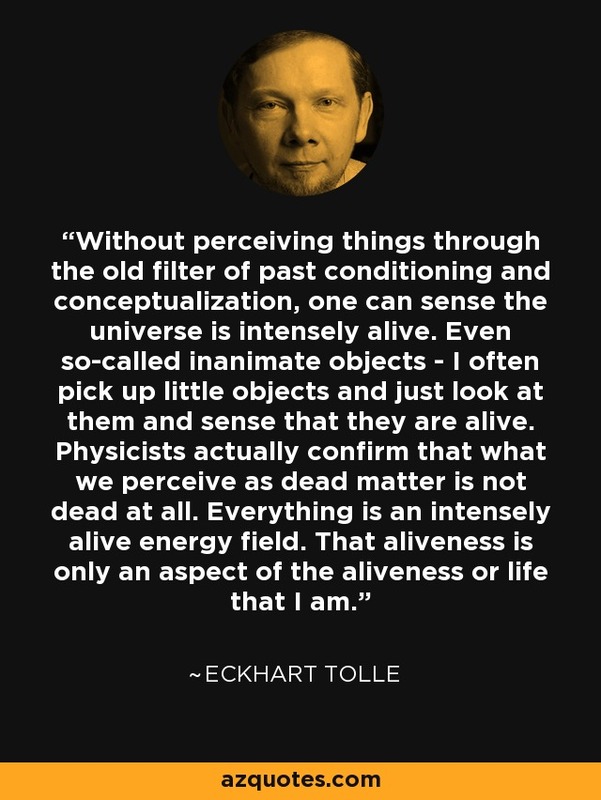 Everything is an intensely alive energy field. That aliveness is only an aspect of the aliveness or life that I am.